The auditory condition is actually much more common than most would think. 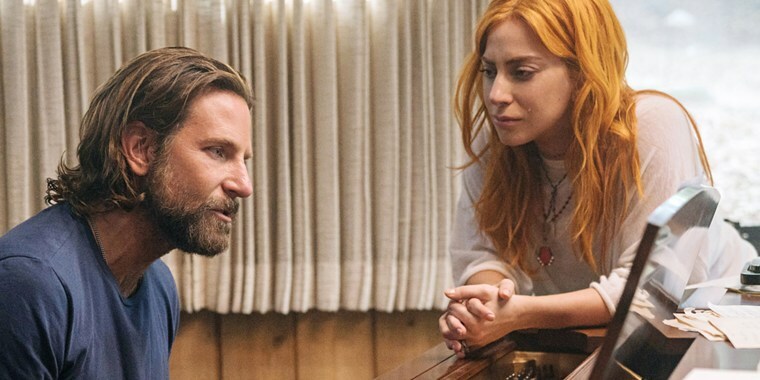 In "A Star is Born," Bradley Cooper plays musician Jackson Maine who suffers from tinnitus.Warner Bros. In the movie “A Star Is Born,” actor Bradley Cooper plays a beloved musician named Jackson Maine. As a singer and songwriter, Maine lives and breathes by his music, but what fans can't see is that he's struggling. Maine suffers from a serious case of tinnitus, an auditory condition often associated with hearing ringing or other noises such as buzzing or clicking. Seeing his character deal with the health issue shined a light on the little talked about condition. Tinnitus is a sign that something is not quite right in your auditory system. Though it can be a very serious condition, don’t assume your turmoil will be as bad as Cooper's character. The condition usually does not worsen and can be effectively managed if it does get worse, explained Dr. LaGuinn Sherlock, a research audiologist and board chair of the American Tinnitus Association. And more importantly, prevention and management can significantly help. “The biggest fear people have when they get tinnitus is that it’s going to get worse and worse and worse. And that’s not the typical or the natural course of tinnitus,” Sherlock told TODAY. About 25 million Americans, or 10 percent of adults, have experienced tinnitus “lasting at least five minutes in the past year,” according to the Department of Health and Human Services National Institutes of Health. Some experts say that number is closer to 50 million. Tinnitus could be caused or associated with something as simple as an ear infection or earwax to things more serious such as benign growths in the middle ear or on the hearing nerve or some forms of chemotherapy. But most commonly, the culprit is hearing loss. To prevent this, experts suggest wearing earplugs in loud places like or while attending concerts and avoiding consistent exposure to loud noise. Dr. Troy Cascia, lead senior audiologist at University of California San Francisco Audiology Clinic, explained the science behind it. “The auditory part of our brain, called the auditory cortex, is always expecting sound stimulation from our environment. Normally these neurons only fire when they are being stimulated by environmental sounds, but when there is hearing loss, those neurons experience auditory deprivation,” Cascia said. That auditory deprivation caused by hearing loss can result in tinnitus. “Research shows that stress plays a major role in tinnitus distress. Millions of people experience tinnitus, but about 90 percent of them are not bothered by it and never pay attention,” Cascia said. For those who are bothered by their tinnitus, he explained, it’s due to the limbic system, or your emotional center of the brain, triggering a “fight or flight” response. Unfortunately, becoming frightened or stressed by it makes the tinnitus louder, creating a challenging circle of events. Markku Vesala, director of Tinnitus Hub, a UK-based nonprofit with 26,000 registered members, said it's mental impact can be so bad, there is a "dire need" for a cure. “A lot of our members suffer considerably and find their quality of life significantly impacted by tinnitus,” Vesala told TODAY in an email. “A recent survey we conducted, with nearly 2,000 respondents, shows that over 60 percent of people regularly experience negative moods because of tinnitus, 68 percent find tinnitus has made them more socially withdrawn, and 38 percent find tinnitus has negatively affected their career or work prospects." But you can get help. Mental health plays a key role in how someone will be affected by tinnitus. Seeking help to reduce negative emotions like fear or distress can greatly reduce the condition's impact. The first step is to see your doctor if the symptoms are bothering you. Ringing in the ears can be caused by other conditions. The doctor will likely examine your ear and provide a standard hearing test. You might then be referred to an audiologist to do further tests and help you manage your symptoms. Though there’s technically no “cure” (but again remember that it’s somewhat common), being able to calm your mental response to tinnitus will greatly improve your quality of life. Just as important as seeing a medical doctor is seeking mental health help if you feel overwhelmed. Vesala, for example, helps run Tinnitus Talk, an online support community. “Developing reliable stress reduction techniques can help prevent the tinnitus from spiraling out of control,” he said. “When we are in quiet, the tinnitus is perceived as being louder. In quiet, the brain has nothing to compare the tinnitus to so it tends to crank the tinnitus up, filling all the available space in our head,” he said. To remedy this, practice “sound therapy,” or having very low levels of sound in the environment. This has an interesting scientific effect. “The brain now has real sound to compare the tinnitus to and tends to turn the tinnitus down, making it easier to manage. The point is not to cover or mask the tinnitus, but to provide something else for the brain to hear in addition to the tinnitus,” he said. Playing low level sounds, which should be pleasant and calming, can help. Remember, make an appointment with your doctor if you’re worried and don’t be afraid to get help from a mental health professional. If you or someone you know needs help, please contact the National Suicide Prevention hotline at 1-800-273-8255, anytime. Editor's note: This article was updated to include comments by Markku Vesala, director of Tinnitus Hub, on Nov. 6.